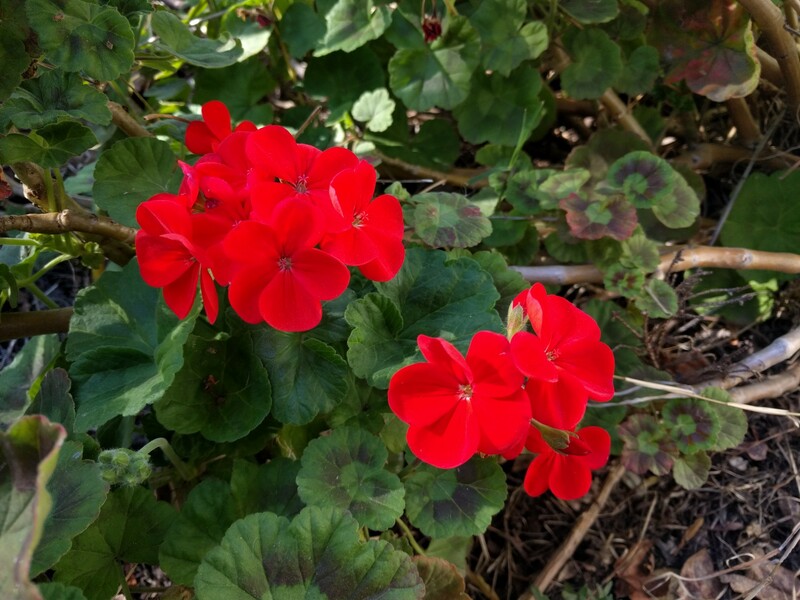 While Maggie was checking out the front pasture, I noticed that my favorite Geranium was blooming. The color is true to life (i.e. no post image processing) and so vivid it is difficult to capture its beauty in the full sun. The late afternoon shade from the trees provided the perfect lighting. Stopping for a moment to enjoy the flowers, while the dogs roamed the front yard, provided a needed break during a busy week. Happiness cannot be purchased for any price but can be found all around us if we take the time to be in the moment.